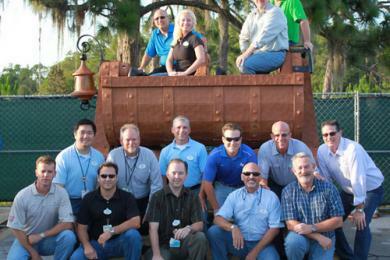 A few weeks ago we reported that the last piece of track was completed on the Seven Dwarfs Mine Train in New Fantasyland. 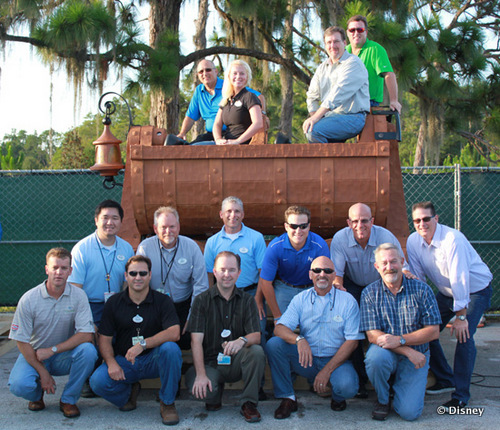 And now we can report that another piece of the attraction has made its way to the Magic Kingdom - the first train car was delivered to the Magic Kingdom. The train car is being kept in a backstage area under the watchful eyes of Imagineers, and will soon receive a themed paint job. The Seven Dwarfs Mine Train is an indoor-and-outdoor coaster and the mine cars will sway from side to side during the ride. Guests will journey through the mine where the Dwarfs spend their days digging for gems. The ride features music and characters from Snow White and the Seven Dwarfs. The ride's intensity is reported to be somewhere in between The Barnstormer and Big Thunder Mountain Railroad. The coaster is scheduled to open in 2014. I am so ready for this ride to open up! I am really hoping this will be open by May. I can't wait! I can't wait to ride this. JoAnn C - I'm not sure what I want more - to ride it or for the construction to be done. LOL!